A useful guide to woman-centric novels, poetry collections and short stories for librarians, readers and teachers alike! Create a shelf display or find your next read. 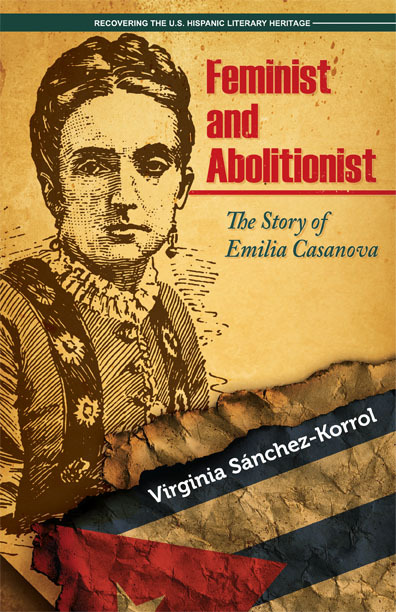 Sixteen-year-old Martha and her mother move constantly, never staying anywhere for long. So she knows better than to ask if they’ve been evicted again when her mom says they’re going on a “vacation” to Laredo, Texas, to meet the grandmother Martha didn’t know existed. At her Abuela’s pink house, Martha’s shocked and hurt when her mom abandons her, even though a part of her had been expecting it. Suddenly, Martha must deal with a lifestyle that is completely foreign. And it turns out that her grandmother is revered as a healer, or curandera. Meanwhile, at Martha’s new school, she can’t be anonymous because everyone knows she’s Doña González’s granddaughter, and a girl named Marcella has it out for her. As Martha struggles to adjust to her new life, she can’t help but wonder why her mother left Laredo. No one is willing to discuss it, so she’ll have to unravel the secrets herself. In the first story of this absorbing collection, Margarita—sixteen and married to a soldier who has gone off to fight in the first great war—meets and falls in love with Federico García Lorca. When he refuses to marry the widowed gypsy girl after a tryst at the river leaves her pregnant, her mother curses both Lorca and his offspring: “May they all die before they see the light of day.” And so Lorca is killed by fascists and his child dies in Margarita’s womb, where it remains—petrified—for 80 years. Mysteries and furtive desires pervade the enthralling stories in this group of ten the author calls a “deconstructed novel.” Expertly weaving poetry, historical events, myth and legend into intriguing short fiction, Alicia Gaspar de Alba confirms her place as one of the leading contemporary Latinx voices. Life in Texas is confusing, though the signs in shop windows that say “No Mexicans” and some people’s reactions to them are all-too clear. Why can’t people understand that—even though she’s only starting to learn English—she’s just like them? This moving historical novel introduces teens to the tumultuous times of the Mexican Revolution and the experiences of immigrants, especially Mexican Americans, as they adjust to a new way of life. Michael Shaw is an alcoholic lawyer struggling with his reputation as the son of one of Mitchell County’s wealthiest, most successful attorneys. Toni Garcia, the first in her family to obtain a college degree, has returned to Borden, Arizona, because she’s worried about her father’s health. But as a Mexican American, she can’t get a teaching job in spite of her education and intellect. Their worlds collide when Michael is assigned to represent María Sánchez Curry in the bloody murder of her husband and Toni, desperate for work, accepts a job as the defendant’s interpreter. In this evocative exploration of class and race in 1950s America, former crime reporter Patricia Santos Marcantonio crafts a stirring tale of forbidden love in a world where democracy rules but due process and fair treatment aren’t as readily available on the wrong side of the tracks. Fina is a big girl with a big mouth. She’s the neighborhood bruja, or “spirit worker” as she likes to call herself, casting spells for her neighbors in Manhattan’s Upper West Side. She can’t believe it, though, when she puts an accidental fufú—or spell—on Chico, the irresistible trumpet-player who lives upstairs. Weaving Afro-Caribbean witchcraft rituals with the sixteen-year-old mystery of a woman’s disappearance, Outside the Bones is an erotically charged ghost story set in both present-day New York and Puerto Rico. Following in the tradition of Anne Rice, Lyn Di Iorio’s brilliant debut novel takes a mesmerizing look at issues of race, class, power and greed. “Damn you bastards, coming here making trouble. Bunch of animals.” The two police offers responding to a call about an open fire hydrant lash out furiously at the Puerto Rican residents of New York City’s El Barrio neighborhood. It’s the summer of 1941, and all ten-year-old Nilda wants to do is enjoy the cool water with her friends. But the policemen’s curses end their fun, and their animosity is played out over and over again in Nilda’s life. She is repeatedly treated with contempt and even disgust by adults in positions of authority: teachers, nurses and social workers. 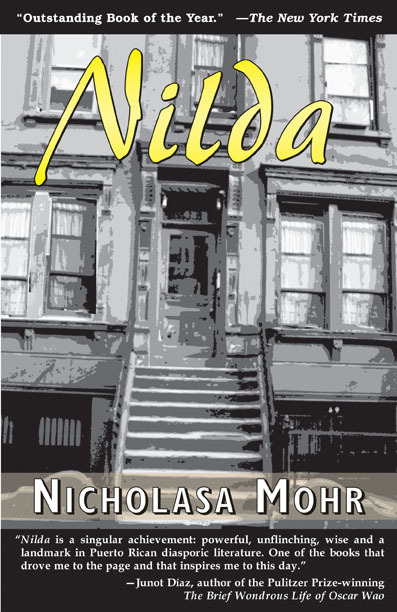 Named an “Outstanding Book of the Year” by The New York Times and one of the “Best Books of the Year” by the American Library Association in 1973 when it was first published, Nicholasa Mohr’s classic novel about life as an immigrant in New York City offers a poignant look at one young girl’s experiences. 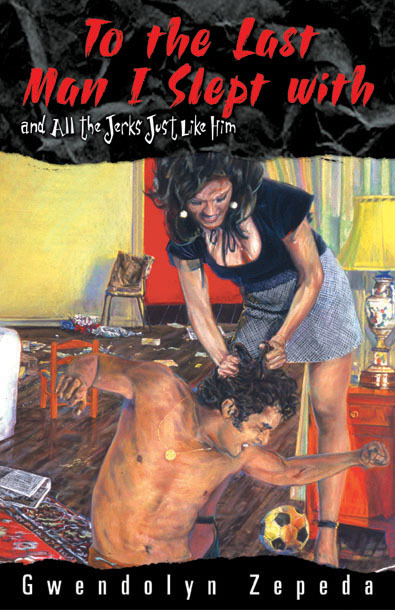 Issues of race, religion and machismo are realistically and movingly depicted in this groundbreaking coming-of-age novel that was one of the first by a Latina author to be hailed by the mainstream media. From Aztec princess to slave and concubine, Hummingbird – or Huitzitzilín in her native Nahuatl – recounts her life during the Spanish conquest of Mexico. She experienced first-hand the wonder of gods’ arrival—those bearded, armored men who descended from their vessels on horseback—and the brutal devastation of her land and her people. She witnessed the obliteration of Tenochtitlán and suffered the loss of her identity, being forced to discard her traditional garb, to speak a language foreign to her tongue, and to forsake her ancestral gods. In Song of the Hummingbird, Limón pays homage to the pre-Columbian woman, celebrates the endurance of the human spirit in the face of cataclysm and mourns our collective loss of treasures more valuable than all the plundered gold. Weaving her exploration of family life, love, the struggle for economic stability, and the search for a personal creative space, Zepeda’s brash voice cuts at society’s stereotypes, at once critiquing those around her and herself. Not for the shy or the meek, Zepeda’s bold ruminations ring clearly through all her pieces, whether tough dramatizations or tongue-in-cheek fiction. A Chicano Civil Rights March has been disrupted by the Los Angeles police, resulting in the gruesome death of a prominent reporter. The tear gas has barely settled when a small, defiled body is left on a street in Los Angeles. A feisty political activist finds the murdered child and begins an investigation that will lead her on a trail of international conspiracy and bloody vengeance. Before long, two other people are dead, and dynamic detective Gloria Damasco is determined to piece the mystery together, no matter how long the search may last. Eulogy for a Brown Angel is a fast-paced and suspenseful novel, packed with an assortment of interesting characters. A member of the international writers’ circle Sisters in Crime, Lucha Corpi brings the intrigue to a hard-hitting conclusion in the picturesque Wine Country of Northern California.